Our Stilt Walkers St. Louis will take your event to new heights! Stilt walkers add great ambiance to an event. They are visible from close or far. Stilt walkers St. Louis are great for interacting with the crowd. Your guests get a kick out of chatting with the stilt walker who is so high up. 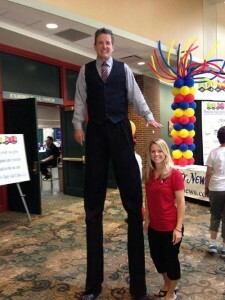 It’s fun to interact with the performers–especially one who is 8 or 9 feet tall! Stilt walkers can shorten your guests’ wait. If there are places where people are in line, the stilt walker can drift over there and banter with them, shortening their wait. For instance, face painters, balloon artists, food lines, etc. Kids and adults all like stilt walkers. They are amazed at how they can be up so high walking around. Stilt walkers St. Louis are fun! We’ll make you stand very tall for having brought us in. What Events to Rent a Stilt Walker? 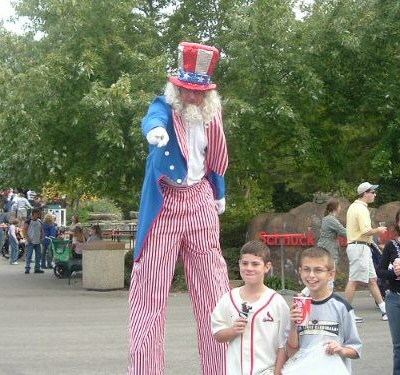 Fairs, festivals, and picnics are great events for a stilt walker. Stilt walkers are also great additions for indoor events such as carnival parties, circus parties, holiday parties, etc. Family events work well, as kids are awed by stilt walkers. Stilt walkers can add fun and ambience to adult events as well. 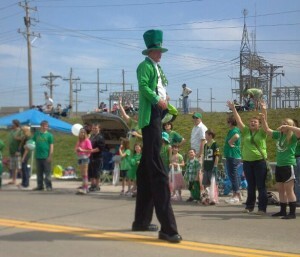 Have you ever wanted to become a stilt walker? It could be your calling! Like anything, it takes practice. But it is not as hard as you think! 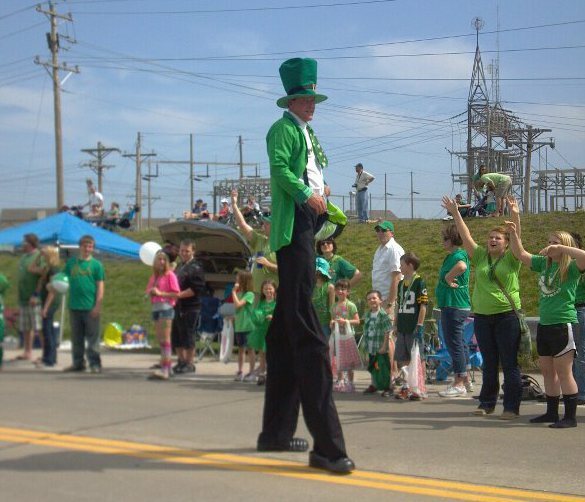 Here are instructions on how to stilt walk to get you started! Add a stilt walker to your event! Call or email Abra-Kid-Abra for more info today. We look forward to raising the bar on your event with a stilt walker!